The classic family adventure is now under six bucks at Amazon! 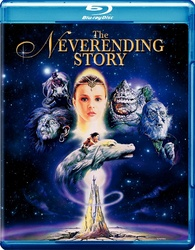 Amazon is offering 'The NeverEnding Story' for $5.49 (73% off suggested list price). You can check out our review for this Blu-ray here. Click here to add this fine film to your Blu-ray library!